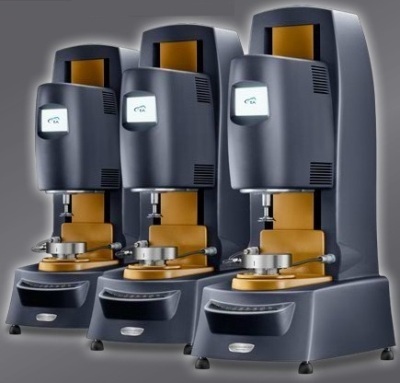 The Discovery Hybrid Rheometer (DHR) from TA Instruments features powerful new technologies from the world leader in rheological measurements. Our new hybrid technology combines a patented magnetic bearing, drag cup motor, force rebalance transducer (FRT), new patent-pending optical encoder dual-reader, and True Position Sensor (TPS) into a single-head rheometer. The DHR has improved every performance specification and delivers unrivaled true strain, strain rate, stress control, and normal force accuracy. The DHR also features our most popular TA innovations including patented Smart Swap™ geometries and Smart Swap™ temperature systems.